Ask what Amish Originals Furniture Co. means to people and you’ll hear a lot about being the Columbus Ohio furniture shoppers trust in. Since 1992, we have been earning a name and impressive reputation for ourselves. Because we take servicing the needs of our community members seriously, we have managed to last for 20 years and plan to continue for years to come. Need to know what we offer? Why Shop with Amish Originals Furniture Co.? If you want the unique style and beauty that only Amish furniture can offer, you need look no further than our showroom. When it comes to moving past the same old tired selection the average Columbus Ohio furniture store has to offer, you’ll know from the minute you step inside our showroom you’ve found the right place. Even by browsing our website you will quickly get a feel for the difference in furnishings and décor we have to offer you. There is simply nothing like the classic craftsmanship or attention to detail you find with Amish Originals Furniture Co. This comes from working with more than 70 Amish families around the Northeast Ohio community. It begins from the moment you look at what we have to offer and begin to envision these pieces in your own home. As far as furniture stores in Columbus Ohio go how many choices do you have to get your selections handmade and custom built to order? 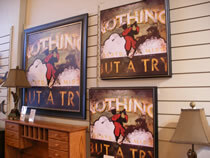 At Amish Originals Furniture Co., you have that ability. This isn’t about flimsy furniture you assemble at home. This is far more than the average selection you find other places where you end up settling for the best of the worst available. At our store, the only problem you will have is trying to narrow down your selections. Of course, you may find it’s time to go ahead and replace some of your own furniture now. Once you see the rich color and quality of the American hardwoods used to craft these pieces, it will be hard to consider having any other type of furniture. You can pass furniture of such high quality down for generations to come. At our store, you are not just buying some furnishings; you are investing in classic heirlooms. Be the envy of friends and family as your home is transformed inside and out with these beautiful furnishing and décor selections. But this is only possible when you stop overpaying for poor quality and mass-produced pieces you don’t even love. 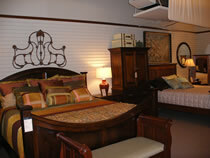 Come find out for yourself why our name is the trusted name in Columbus home furniture.